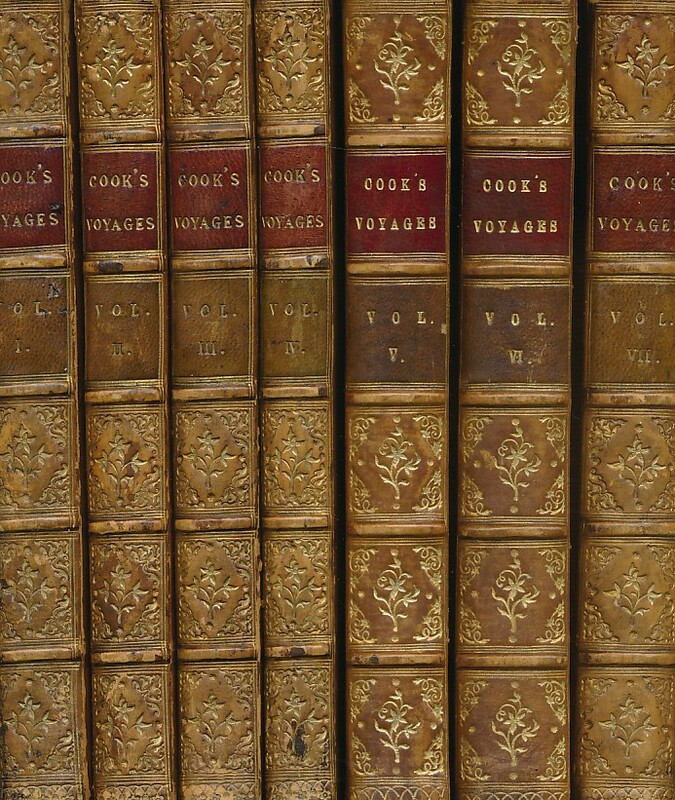 Barter Books : Cook, James : The Three Voyages of Captain James Cook Round the World. Complete in Seven Volumes. 220 x 140 mm (9 x 6 inches) - 398pp; 360pp; 372pp; 304pp;472pp; 503pp; 462pp. G+ : in Good condition plus. Cover lightly rubbed with some edge wear. Some scattered browning. Heraldic book-plates on paste-downs. Contents firm. Book-plate of George John Armytage 'Semper Paratus'.